Keep track of valuable rewards points. Redeem points for free maintenance services. View your vehicle’s service history. Save and access your favorite Meineke shop. Get rewarded for the services you need anyway, right away – free! No one likes shelling out money to fix the car – even when we know it’s coming. But what if maintaining and fixing your car could help you save money the next time your car needed service? That’s what Meineke Rewards is all about. 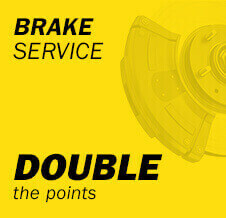 We give you points for bringing your car into Meineke for the maintenance or repairs it needs. 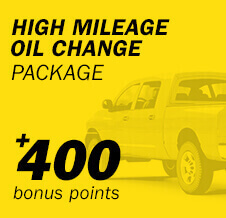 USE YOUR POINTS ON ANYTHING FROM OIL CHANGES AND BRAKES, TO TIRE MAINTENANCE AND PROTECTION. Your Meineke Rewards points go where you do so you can use them at any participating Meineke center. Plus, the work we do is always backed by our nationwide guarantee. *Points redeemed for brake pads and/or shoes excludes labor and may only be used to offset the cost of parts. Click here for full Terms & Conditions. 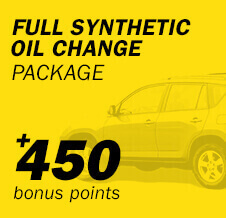 Plus, Earn even more points with maintenance bonuses. 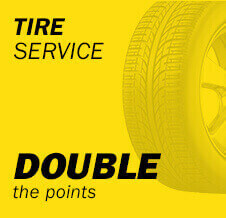 When you come in for service, you can double your points – or more! 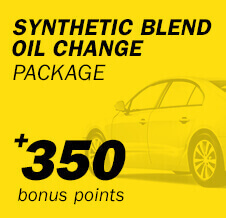 With Meineke Rewards, your routine maintenance can earn you enough bonus points to redeem a free oil change as quick as your fourth service. 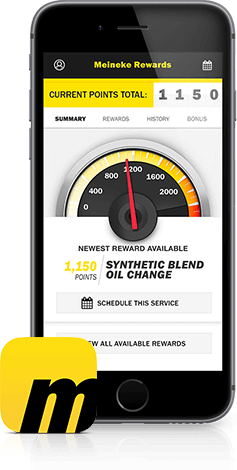 You can view your Meineke Rewards points on-the-go and schedule an appointment to redeem your free services on the spot. Get closer to your Rewards now.